I think someone might have sped up the clocks or something because somehow our Kickstarter launch is in 8 days time! How the sludge did that happen? So I'm very busy adding the finishing touches to our Kickstarter page. There's no video! It's en route and quite delightful! Once it's ready I'll let you know via Facebook, Twitter, carrier pigeon, interprative dance etc. There's no reviews! People have been quite complimentary of the gobbos and I have some nice quotes. But we've still got preview copies out there which we haven't had the reviews for yet so I'll add those nice words in later! These fart words were farted by Spanjj. 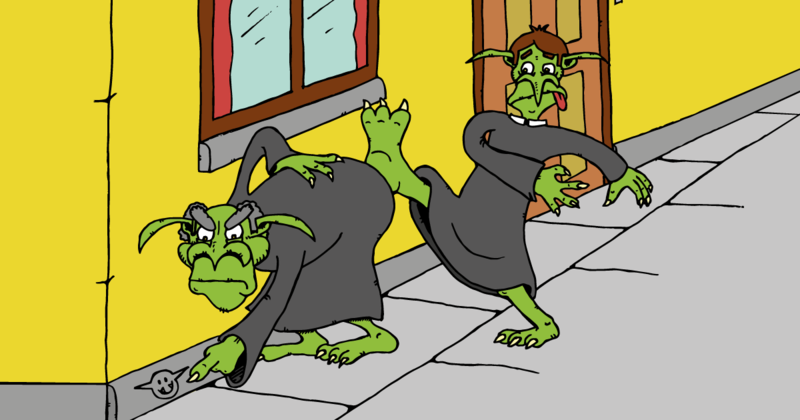 Spanjj is Chief Organiser of all things in the Gobblin' Goblins project. She has below average juggling skills.